A striking light fixture goes a long way to amping up the awesome factor of a room, and the bright, angular paper shades from Tweelingen Home Decor are just the thing to beat a boring room. 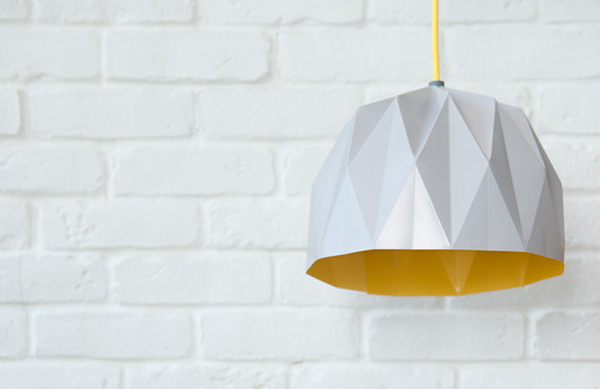 Tweelingen’s pendant lamps ($97-$122 depending on size) are inspired by the geometric lines of origami. They come in gorgeous saturated colours like lemon yellow, turquiose or moody, matte black. The shades are double-sided, colourful on one side and neutral on the other. If you prefer a peek of colour instead of a blast, fold the shade with the brighter colour on the inside and neutral on the outside. Each shade comes with a cord and ceiling fixture in a contrasting colour. If you want something a bit different, you can contact Tweelingen to customise your colour options. 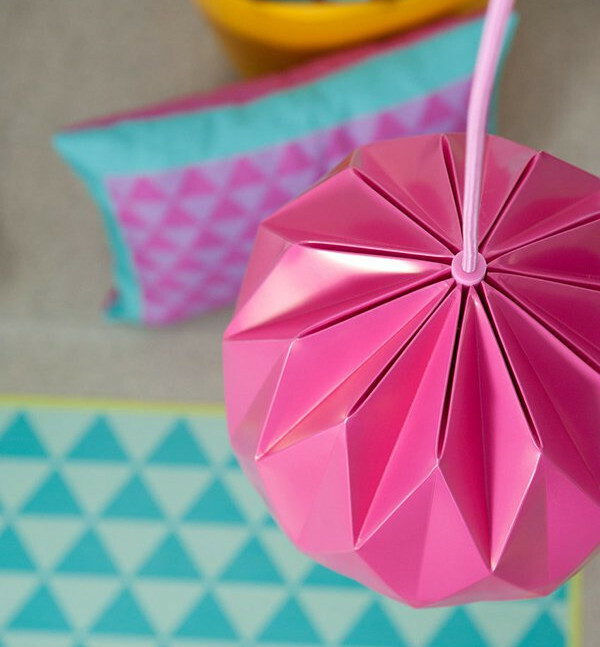 The Origami Lamps ship flat, unfolded with the fixture fixings in a box. There’s a handy video on YouTube that explains the simple folding technique and promises that you’ll have it all done in five minutes. I’m not sure my paper folding skills are quite up to scratch, but it does look like a simple project that will have a big impact on a room. Check out all the lamps and other home decor at Tweelingen’s Etsy shop. Shipping to Australia for the pendant lamps is around $15.